Democracy Now, broadcast weekdays on 750 stations around the country, including KPFA, is to me an essential news source and I try never to miss it. While the show is generally respectful of the Black community, the lack of a Black perspective on this issue was painful. 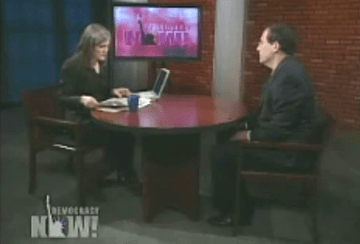 Who else could Democracy Now have talked to? How about the person who worked most closely with Chauncey Bailey and knew more than anyone else what stories Chauncey was working on: Paul Cobb, publisher of the Oakland Post, where Chauncey was the editor. Paul has said from his first utterance after Chauncey was killed that Chauncey had been investigating the Oakland Police Department. No one – certainly not the Chauncey Bailey Project team – followed up. Paul also says Chauncey was looking into misconduct by Jerry Brown, the immediate past mayor of Oakland and currently the California attorney general. Again, no follow-up. Both the Oakland Police Department and Attorney General Brown are investigating Chauncey’s murder; both apparently assume that Chauncey was killed to kill a story he was working on. But so far as I know, no one is considering the possibility that the stories Chauncey was writing about them – the OPD and AG Brown – may have given them a motive. “Former Oakland Mayor Jerry Brown, now the State Attorney General, is also [in addition to the OPD and Judge Henry Ramsey Jr., former Alameda County Superior Court judge and dean of Howard University School of Law] conducting an investigation into the Oakland Police Department’s handling of the killing of Bailey, who was editor of the Oakland Post. “Brown is participating in the investigation, even though Bailey at the time of his death was investigating allegations of misconduct in the OPD, including murder, drugs, murder investigations, corruption and allegations of misconduct on the part of then Mayor Brown. “Just weeks prior to his death, Bailey had written a story about Officer Bob Valladon. According to Post publisher Paul Cobb, Bailey reported that he had a ‘frightening phone call’ from Valladon that ‘scared me.’ He said it was the first time he had felt threatened by a police officer who warned Bailey to ‘not ask any more questions’ from him or his other officers. In this story, Paul Cobb’s newspaper was implying that the OPD and Brown should be investigated as suspects in Chauncey’s murder, yet nearly three months later the investigation continues to focus solely on Yusuf Bey IV and Your Black Muslim Bakery. 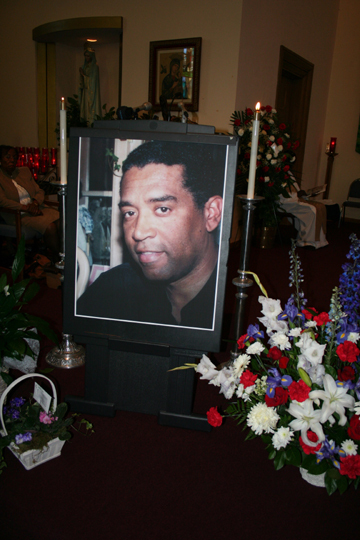 Chauncey Bailey was probably the best known Black journalist in the Bay Area, yet his own Black newspaper is ignored by every agency investigating his murder. Justice for this Black journalist cannot be achieved by silencing Black journalism. The Black public affairs show on KPFA that the Bay View has long championed could point out to a vast audience this critical disparity between the priorities of the Black press – both the Oakland Post and the Bay View, which has published many stories on this issue* – and those of the Chauncey Bailey Project, whose executive director, Robert Rosenthal, who happens to be white, was the only person interviewed this morning by Amy Goodman in her coverage of the Chauncey Bailey case. By interviewing no one else or mentioning no other perspective on the case besides that of the San Francisco Chronicle, Democracy Now is implying that the Black press and the Black community has nothing significant to say about the murder of the Black editor of a Black newspaper. I wonder what Chauncey would say about that. Ironically, Chauncey was fired after a dozen years as a staff writer for Oakland’s daily newspaper, the Tribune. Reportedly, Tribune management considered him too strong an advocate for the Black community. They also may have resented the fact that he wrote for a Black paper, the San Francisco-based Sun Reporter, during the years he was writing for the Tribune. Democracy Now is implying that the Black press and the Black community has nothing significant to say about the murder of the Black editor of a Black newspaper. I wonder what Chauncey Bailey would say about that. They also, I suspect, were uncomfortable with his frequent criticism of the Oakland Police Department. He often wrote about the OPD’s penchant for shutting down Black clubs and other venues. The Tribune is the lead medium in the Chauncey Bailey Project, which has not, unless I missed it, ever mentioned that the Tribune fired Chauncey. Bay View editor Mary Ratcliff can be reached at editor@sfbayview.com. I heard that broadcast of Democracy Now and noticed the same thing. No mention was made of Mr. Bailey investigating the police. How did i know that Chauncey Bailey was investigating the police? Amy Goodman said it on Democracy Now the day after he was killed! Isn’t that interesting that this time she did not even bring it up. I have several times sent Amy Goodmand emails criticizing her slick appearance of standing up for Black people while saying stuff to show she isn’t honest. Once i told her she was a punk when she interviewed Michael Moore and would not ask him about a statement he made that was designed to destroy support of Mumia Abu Jamal with “liberal” and “progressive” whites. I have never gotten a reply. Here in LA the people at KPFK treat Amy Goodman like a god. I am so glad somebody besides me sees Pacifica for what it is. So called progressives and liberals the likes of those who work at Pacifica do much damage to our cause because so many Black folk trust them. Amy Goodman should have interviewed Minister of DisInformation, JR. He was on the phone to Yusef Bey IV the night before the murder of a journalist from a rival black newspaper. Yes, that’s the latest Chronicle story, but how does it relate to the Bay View critique? As for your previous comment about JR, he was inviting Yusuf to a protest the following day in support of a 15-year-old who’d been shot and nearly killed by police. Of course, JR had no way of knowing where Yusuf was during the minute of so that they talked. oh, by the way, does the Minister of DisInfo JR believe in the mothership thing too? The Bay View is one of the only media outlets that continues to question the canned approach the CBP and Chronicle take under the guise of seeking justice for Chauncey, when in reality it is just a tabloid sales technique cloaked in anti black self determination, especially black politicians. The POST is remiss in not challenging the CBP on what was originally reported on tape days after the murder by Mr. Cobb who should know better than anybody what his employee was working on, namely that OPD and Jerry Brown were the main subject of Chauncey’s investigation and not the Bakery. (Thank you NAM). The portion of the interview has now chief Jordan answering questions (before the OPD media suppression campaign) in which he was specifically asked about a corrupt cop Chauncey was investigating. so…I repeat my question. Do you guys think Jerry Brown and OPD did the murder. Must be a HUGE coverup going on. How’d they get Broussard to say BeyIV ordered the killing? Or the secretly video’ed piece where BeyIV and this cronies talk about the case and the shotgun, etc.? You are grasping for straws folks. Chauncey’s sister is going to get justice, thanks to Alameda County D.A. office, and your grand conspiracy theories are going to keep spinning around in your crazy heads. The mothership is calling you.